Being a writer is kind of like being a teenage girl. One minute, you’re facing soul-crushing rejection; the next minute, you’re elated over a “he-likes-me” moment. Throw in a dash of overanalyzing other people’s words or behavior, and it’s an emotional roller coaster for sure. Only instead of dealing with teen angst and boyfriend troubles, writers face a special brand of insecurity and rejection: doubt about our writing ability, unengaged readers, mean comments from Internet trolls, the silence of a bombed social media promotional post and a steady stream of “no thanks” from editors. And the ratio of editorial hits to misses seems to wax and wane more than the moon. Some weeks we’re on fire and other weeks we can barely write a clever, typo-free Facebook post. Fortunately, most of us freelance writers make a boatload of money, so it makes all the anxiety worthwhile (said with great sarcasm). Did I pitch the article to the wrong editor? Is the article not funny enough? Is it not funny at all? Am I too old to restart my career? Is my failure setting a bad example for my kids? Why don’t we have any more wine? Yes, the self-doubt can get the best of us (and by us, I mean me). So, on days when we’re not thinking clearly and plagued by self-doubt, here’s how writers might interpret the rejection email received today, this time for a humor writing contest. What an Editor Says: Thank you for entering the Erma Bombeck Writing Competition. Editor: We had 463 entries this year from countries including Austria, New Zealand, Canada, and Spain, and all but two U.S. states. 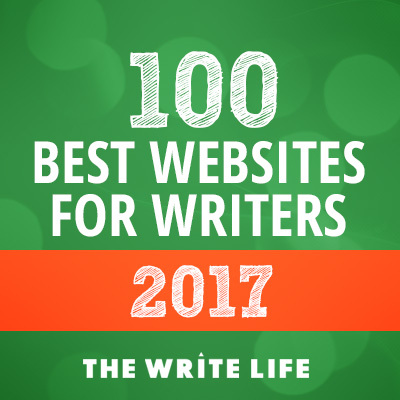 Editor: The essays ranged from funny and self-deprecating to poignant and heart-warming, and our panel of judges had their work cut out for them. Writers: Unfortunately, your humor article, while self-deprecating, was not even the least bit funny. Seriously, do you understand what comedy is? Have you ever even heard the sound of real laughter? What were you thinking when you submitted this? Didn’t you read the winning entries from previous years? Yours wasn’t even close! Go back to copywriting. Editor: Unfortunately, your essay was not chosen and if you received comments from your judges, I will pass them along as soon as I’m able. Writers: We had so many tidbits of constructive criticism that our comments were longer than the actual article you submitted. Also, we’ve ordered you a copy of the latest edition of Comedy Writing Secrets by Mel Helitzer, as you obviously need to master some of the fundamentals of good humor writing. Please, be generous with your use of a highlighter, don’t skip “Chapter 3: The Recipe for Humor” and dog-ear as many pages as necessary. In fact, you might benefit from a humor tutor. Please allow us to hook you up with this year’s contest winners. Editor: To see a complete list of this year’s winning entries, please visit the library’s website. Writers: To get a feel for real humor, please carefully read these winning entries. Better yet, print them out, grab a pen and take copious notes on what makes people laugh. These writers know their stuff. You, apparently, do not. I’m almost embarrassed for you. Editor: Good luck in 2018! Writers: Please, we beg you—do not bother with this contest next time, as we only want to read Erma-worthy material. Don’t discredit her good name by submitting anything resembling the mediocre piece you submitted this year. In fact, we’ll probably remove you from our mailing list so you don’t know the details for 2018. But if, in fact, you do decide to submit next time, please note that you have two entire years to improve your writing. Use it wisely. Reading through Erma’s At Wit’s End, binge-watch Seinfeld, go see a few stand-up comedians, watch the original cast of Saturday Night Live, follow Tina Fey on Twitter—whatever it takes. But, for the love of all things funny, please don’t subject us to your witless writing again. Lisa Beach is a freelance writer, blogger, humorist, and recovering homeschool mom who lived to write about it. Check out her writer’s website at http://www.lisabeachwrites.com/ and visit her humor blog at http://www.tweeniormoments.com/ where she tackles midlife, family, friends and all the baggage that goes with it.